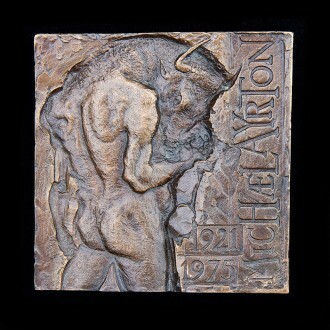 Michael Ayrton, 1921 – 1975, was an English artist and writer, known as a painter, printmaker, sculptor and designer, and also as a critic, broadcaster and novelist. He was a stage and costume designer, working with John Minton on the 1942 John Gielgud production of Macbeth from age 19; and a book designer and illustrator, for Wyndham Lewis’s The Human Age trilogy and William Golding. He also collaborated with the composer Constant Lambert. Ayrton was born Michael Gould and took his mother’s maiden name professionally. 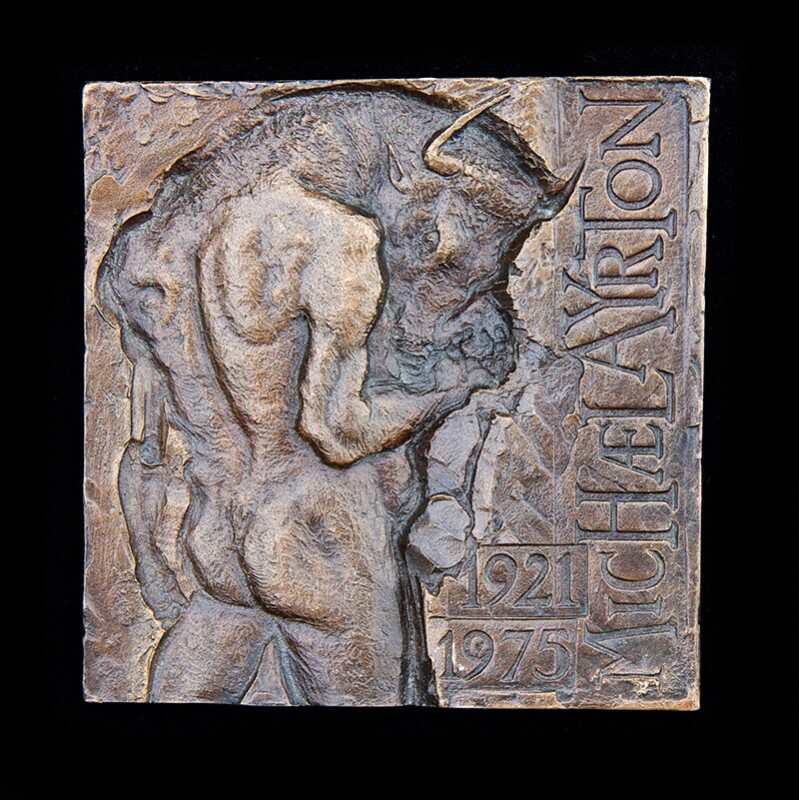 Beginning in 1961, Michael Ayrton wrote and created many works associated with the myths of the Minotaur and Daedalus, the legendary inventor and maze builder, including bronze sculpture and the pseudo-autobiographical novel “The Maze Maker”. He also wrote and illustrated “Tittivulus Or The Verbiage Collector”, an account of the efforts of a minor devil to collect idle words. He was the author of several non-fiction works on fine art, including “Aspects of British Art”. He died in 1975. 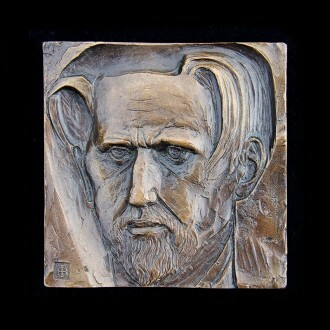 This medal was commissioned by the late John Paul Shepherd in 1995 to celebrate the 20th anniversary of the artist’s death.